The birds and I love our new heated bird bath. 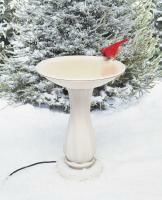 It has been a cold winter here and the bird bath works great! 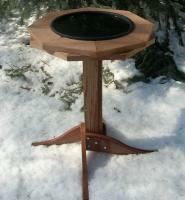 I bought the pedestal as well and it is a lovely addition to my garden. It works great, even in -10 degree winter weather in MN! 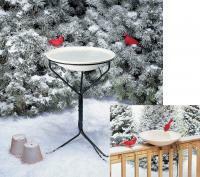 This is the second Allied bird bath I have purchased. I still have the original bath itself. I was very pleased with my first one and am sure I will be with the second one as well.....Actually, I never thought about a warranty, only because we had had it for several years. This was a replacement for an item I had already owned. It was exactly what I wanted! Purchased this product for my mom, age 82, and residing in assisted living. She enjoys feeding and watching birds from her ground floor apartment. I have owned a similar product myself for about four years (It is very likely the same product purchased elsewhere before I knew of your website.) 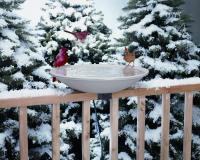 without any problems - the birds have a glorious time drinking and bathing. My unit cleans with a scrub brush and shows minimal wear.) Assembly of pedestal into bowl was somewhat tricky for this product - the only issue I have with the purchase. For stability I partially filled the pedestal base with sand. Water temp stays nicely warm even on coldest days. This is a gift bought for my mom. She says she really likes it because it works and does its job of keeping water unfrozen. She no longer has to crack and empty the dish all the time. Her other bird baths are cement. 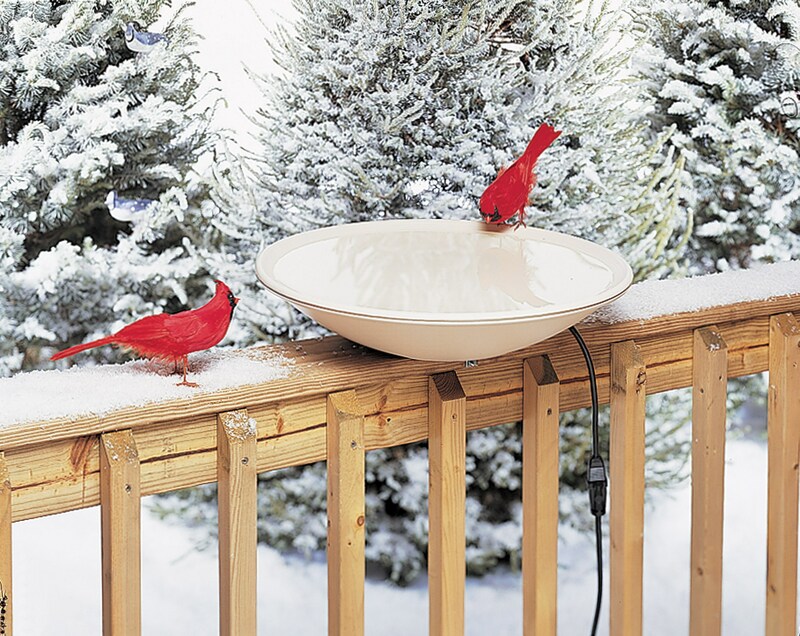 This is a great bird bath. It will keep the water above 35 degrees even in the coldest weather. The birds love it. I put in a couple stones in the center to give the birds some more room to perch. Just beware, my experience is that heating element thermostat will last only about 2 to 4 winters and it can not be repaired. That's why I give it 3 stars.